What the F is a PMD and Why Do We Need One? Back in 2010, two weeks before I went to print on Think Outside the Box Office, I coined a new crew position: the Producer ofMarketing and Distribution. This concept/position has taken off in varying fits and starts over the last five years – with people calling themselves and being credited as PMDs in the United States, Europe and Australia. A Producer of Marketing and Distribution is the person on a filmmaking team who takes charge of and directs the distribution and marketing process for that film to achieve the filmmaking team’s goals. It is preferable for a PMD to start as early as possible in the filmmaking process. The PMD seems to be catching on again. Why? Because it is an essential crew position for independent films – in my mind as important as a director of photography. You can make a film without a DP or a PMD (I have shot some of my films and been my own PMD). But I think many, if not nearly all films, would be served by having both. 1. Upwards of 98% of independent films do not get traditional all rights distribution deals. Even with a robust sales market like this year– if the estimates are true that 35,000-50,000 films are produced every year – there is no way that traditional (and non traditional) distributors can handle that volume. Sundance Artist Services was created in part to help the numerous Sundance films that still had not received distribution after the festival. 2. Some filmmakers do not want to give away or sell all of the rights of their film to one company for a long period of time. Many companies are doing amazing jobs releasing films – but there are many filmmakers who have become unhappy with how their previous films have been released. 3. Much more common is a split rights scenario where you run the show, you control your film’s destiny. 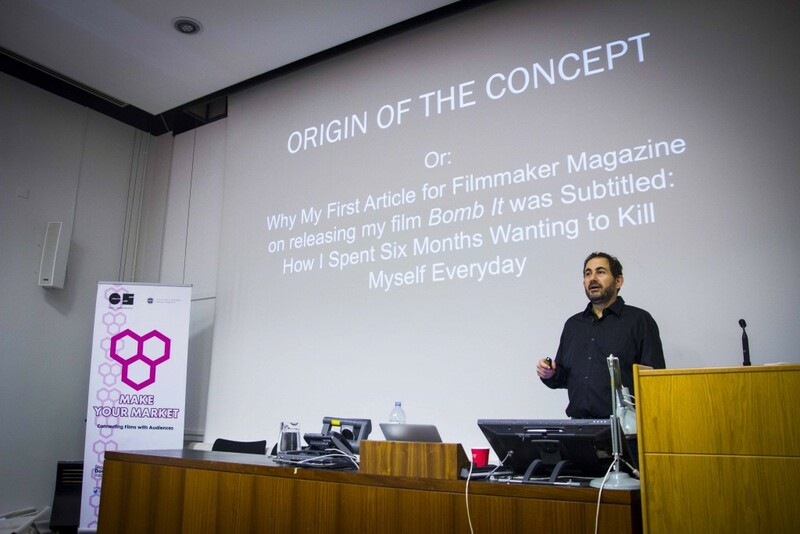 You can choose the best and most cost effective ways to release and market your film. But you need to do the work. Ahhh – But who is the “You”? Someone needs to coordinate how the rights will work together and make sure that all rights that can be exercised are, in the proper way to achieve the filmmaking team’s goals. 4. There is greater competition for audiences than ever before. You are competing against nearly every piece of entertainment, writing, art ever created by humankind. The amount of video uploaded to YouTube every minute is increasing exponentially. Three years ago 48 hours of video was uploaded every minute – for a total of 236 YEARS per month. At last report more than 400 hours is now uploaded every minute, multiplying to 2000 YEARS of content every month! 5. Filmmakers either don’t have the skills to promote and distribute their films or don’t want to. Granted there are many intrepid filmmakers who are engaging with this process – but even the most notable of these such as Jeanie Finlay has a PMD by her side. 6. Filmmakers don’t have the time to do this work. Many filmmakers know they need to engage audiences before they have finished their films – or at least start the process – but most say they don’t have time. On tight budgets most producers are too busy to do this work. When a film is finished – many of the team either need to, or want to move onto other projects. Sound familiar? In working with hundreds of filmmakers over the last couple of years – I have found that very few have the desire, skills, or time to take on the task of being in charge of distributing and marketing their own films – even when they have split rights distribution partners involved. So this creates a pain point in our world in which there are a lot of films created every year that don’t have anyone to help get it out into the world. Hence the need. The second post of this series will cover what a PMD is in charge of on a film. Stephen Dypiangco who is currently working as a PMD on “How to Live Forever” by Mark Wexler is also working as a PMD on a short film “God of Love” which was just nominated for an Oscar. Pretty exciting for Stephen and his team – and the first Oscar nom for a film with a PMD. Perhaps next year there will be a feature nominated with a PMD! Sally Hogsdon who is based in England is working as a PMD for “Sound It Out” was just announced as part of the SXSW lineup. She is working with James Collie of “Beyond Biba” fame who is working as the distribution consultant on the film. I had the pleasure of meeting when I was in London last spring for the first TOTBO workshop. Kinyarwanda which was one of the IFP Filmmaker Lab films in 2010 won the World Cinema Audience Award: Dramatic at Sundance. Tommy Oliver started off on Kinyarwanda as the PMD but then got so involved in the film he now has full producer credit (and I am hoping he still claims PMD credit as well). Congrats to all. If you are a PMD and have some exciting news and/or want to be in the loop for a PMD tips, news etc – drop me an email through this blog!